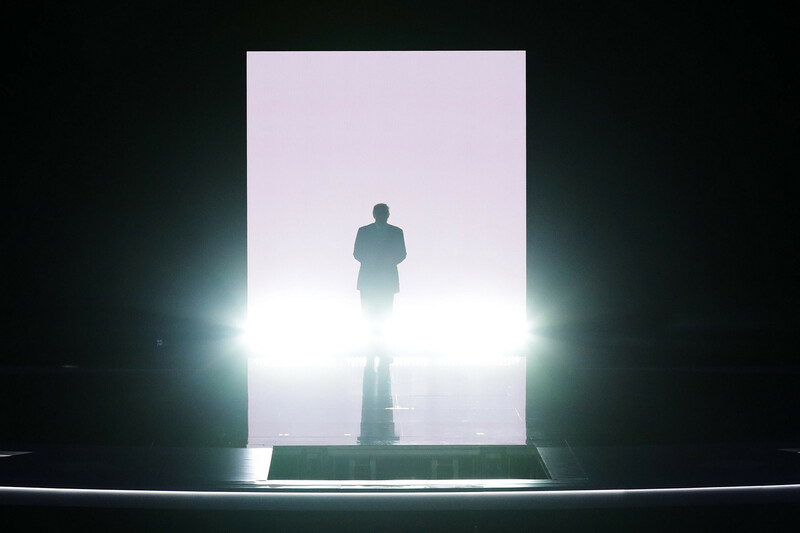 Donald TRUMP descending from a celestial cloud on to the stage of the Republican National Convention to give his acceptance speech. 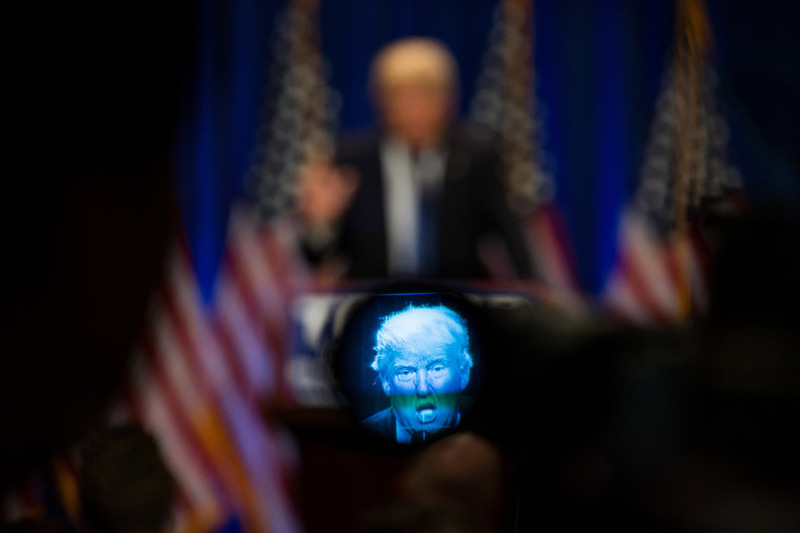 TRUMP l’oeil is the technique of reimagining reality as illusion and fakery. It is a forced perspective intended to deprive public perception of the means to differentiate between that which is real and that which is not. With the art of TRUMP l’oeil, the optical illusion of a post-real, fantastical world of deception and deceit is manifested in three-dimensions. A new movement is born: TRUMP L’oeilism. Actually, it is an old idea derived from the great masters, who developed techniques of visual perspective that altered our perception of reality through illusionary depictions of three-dimensional space. But we live in a different time, where depictions of everyday life are constructed through the media lens. TRUMP L’oeil works are by the new masters of illusion, who through the mechanisms of reality television, celebrity culture, fake news, social media, political rallies, blind loyalism, and alt-punditry, have found a way to disseminate a fabricated depiction of our world with such extraordinary depth and illusionary detail that it puts to shame the great Renaissance painters. Artists beware: you are being outmaneuvered. Your techniques of mediation pale in comparison with the current regime, who deftly, each and every day, paint a portrait of reality that easily replaces the one they created the day before. Their practice is rigorous and daily, in which they wake up in the morning with startling new inspiration, to burrow their unfolding Grand Narrative deeper and deeper into the imagination of the body politic. 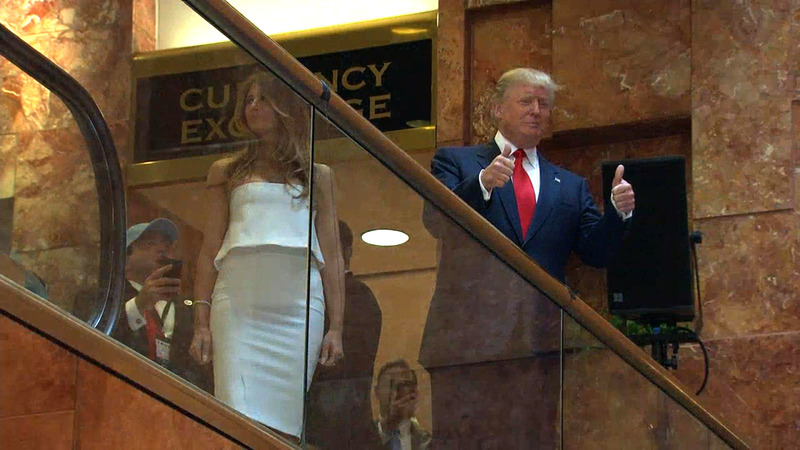 In a matter of hours, they can virtuosically navigate from war to treason to entertainment and back again, through a press conference, a Tweet, or a theatrical descent down the escalator in TRUMP Tower. These effortlessly executed gestures of propaganda, stage craft, trickery, and alternative facts, constitute in essence, the art of TRUMP L’oeil: the new avant-garde of agit-prop performance. We artists have much to learn from the TRUMP L’oeilists. Is it possible we might be able to appropriate the wicked art of TRUMP L’oeil as a means of countering their illusionary manipulation of the real? Can we possibly improve and extend their formidable techniques? This is the challenge, perhaps the greatest of our generation, if we are to prevent the TRUMP L’oeilists from altering the course of art history (and thereby annihilating civilization).